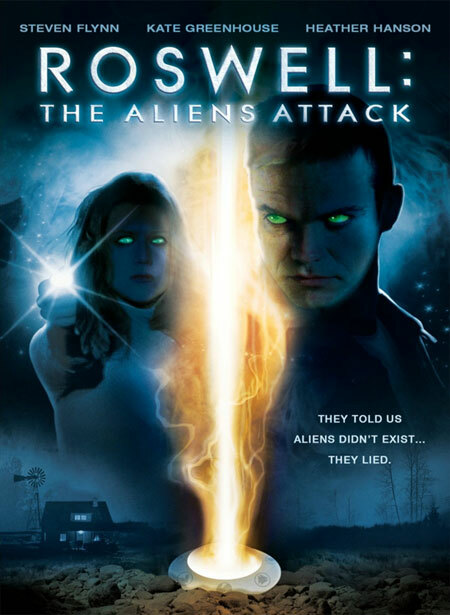 Alien Bee: ROSWELL: THE ALIENS ATTACK Landing on DVD In November! ROSWELL: THE ALIENS ATTACK Landing on DVD In November! You now what I like? Aliens, well besides Alien Bees, I like aliens, alien anything really and today we have some cool news of a new movie that'll drop in November and this covers everything, including Roswell! Read on for more! UFO's. Space aliens. Death rays. It's the stuff comic books are made of...or is it? Science fiction and scientific fact collide with a vengeance in this riveting sci-fi thriller. The year is 1947 and something has crashed in the desert near Roswell, New Mexico. At the charred crash site, the U.S. military makes a startling discovery: two small, gray bodies with long, narrow fingers, misshapen heads and dark slits for eyes and mouths. The creatures are quickly retrieved and sent to the base, while the P.R. damage control machine shifts into high gear. But what the military has on ice are only decoys. The real alien threat walks among us. They look and sound human, but they're on a chilling mission: to seized control of Earth-before annihilating mankind! Now the best-kept secret on the planet is about to be revealed...but who will survive to tell the tale?